In today’s NHL rumor rundown, there are updates on Torey Krug out of Boston and Phil Kessel out of Pittsburgh. How much does it matter what they do in the playoffs and how will their production determine if they stay or go? 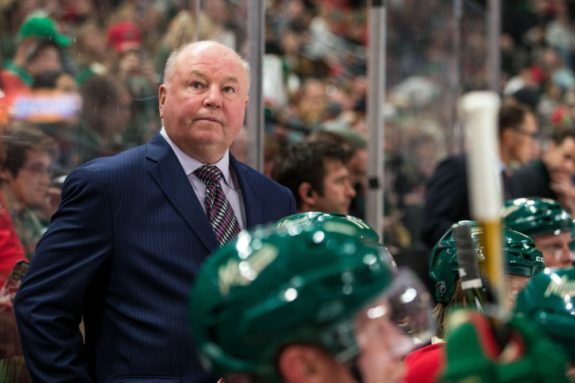 Will Bruce Boudreau be on the chopping black in Minnesota? There seem to be differing opinions. Torey Krug Too Expensive For Bruins? Fluto Shinzawa of The Athletic is reporting he believes Torey Krug may be a victim of numbers squeeze in Boston and asks how many salaries can the Boston Bruins fit under the salary cap? 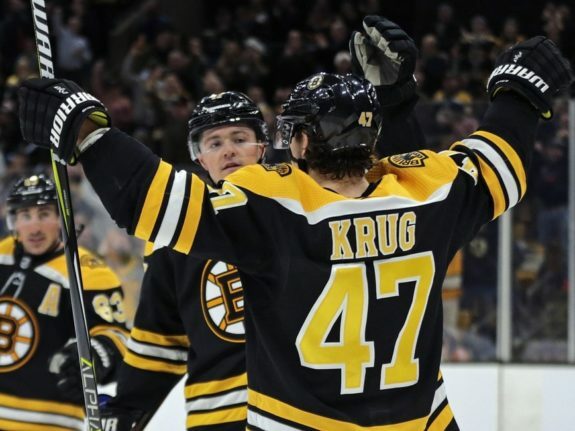 With Charlie McAvoy expected to get a hefty raise and a number of other restricted free agents getting paid, the money may not be there for Krug who isn’t going to be inexpensive to extend. Torey​ Krug was built​ to​ run​ the​ Bruins’ power play. The 27-year-old​ does just​ about everything:​ retrieve pucks,​ blitz​ into the​​ offensive zone with speed and control, shoot for sticks, walk the blue line, rotate down the right-side half-boards. This season, Krug has done all this at a career pace. He has 30 man-advantage points, his most ever. Despite his numbers and relatively young age for a defenseman, he only played the fourth-most minutes among Boston blue liners at even strength. The Bruins were quite effective in getting him on the ice in situations that were advantageous. A decision may come before Boston extends Charlie McAvoy and Brandon Carlo or the Bruins may have already determined it’s time to make a move. 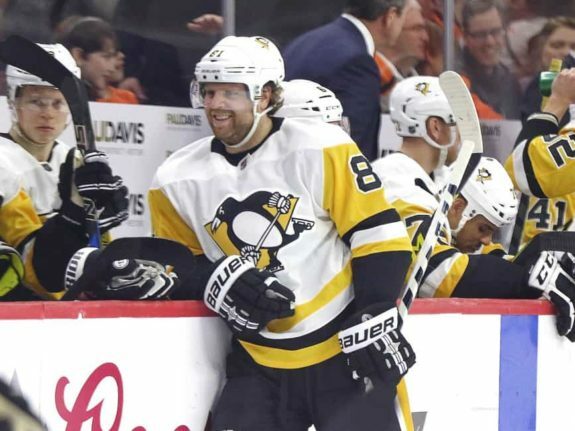 Matt Vensel of the Pittsburgh Post Gazette (mailbag) writes that there are questions again in Pittsburgh surrounding Phil Kessel. Because of his salary cap hit and term ($8 million per season for three more years), those questions may never go away. Because Kessel’s production declined in the second half of the season, those questions are getting a little louder and there is some belief the Penguins would like to get value for him now. If he struggles in the postseason, that could be the writing on the wall. Even if Kessel catches fire and scores 20 goals while the Penguins push deep into the playoffs, it might make sense for the Penguins to move on from him — in the right deal — as they look to maximize the final years of Sidney Crosby and Evgeni Malkin and start to pivot toward the team’s next era. Bruce Boudreau Out in Minnesota? Greg Wyshynski and Chris Peters and ESPN believe big changes could be coming for the Minnesota Wild and that includes questions as to the job security for head coach Bruce Boudreau. The fact the Wild coach found a way to keep this overmatched team together after the trade deadline and nearly found a way to make the playoffs is a testament to his ability. One thing everyone seems to agree on is that general manager Paul Fenton should look for more trades comparable to their recent swap of Mikael Granlund for Kevin Fiala. Related: THW Podcast – Ep. 18 – NHL Teams That Missed Playoffs… Now What?